Prospecting is no piece of cake. Sales teams need all the help they can get to keep their pipelines full and their leads engaged. Integrating complementary software can give savvy selling units a competitive edge. Here’s how one major B2B company amplified its leads and boosted efficiency by combining two powerful sales enablement tools. Leading account-based marketing platform Terminus helps B2B marketers to target accounts, engage decision makers, activate their sales teams, and measure ABM success. When it comes to prospecting, the Terminus sales team identifies target accounts and pursues them in a focused fashion, helping sales reps build relationships with the buying committee by engaging key decision makers. Despite checking all the boxes from a prospecting standpoint, Terminus needed a way to add speed and efficiency for sales development reps while maintaining the personalized approach they know is critical for effective B2B outreach. Fueled by the 20 to 30 contacts entering their system every day, the team at Terminus found LinkedIn Sales Navigator. 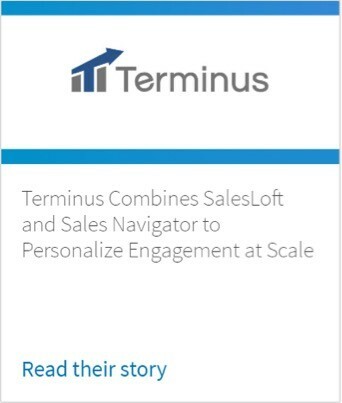 Sales development reps at Terminus seamlessly combined SalesLoft and Sales Navigator to power their prospecting efforts and increase their effectiveness. Sales Navigator data enters the SalesLoft multi-touch cadence, delivering the right information at the right time and giving Terminus SDRs the opportunity to cater their messaging in order to help maintain existing relationships and surface new connections. Efficiency isn’t the only thing increasing at Terminus. By adopting Sales Navigator, English has been able to save more sales than ever before. For example, he recognized that a valuable opportunity in the system had gone cold, but then received a notification via the Sales Navigator integration that a manager at the account recently shared an article about account-based marketing. 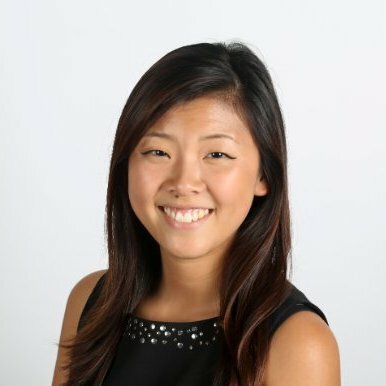 Jumping on the opportunity, English sent a quick, personalized email with plenty of relevance to account-based marketing, earning an interested reply and helping English reignite his momentum. “Without the notification from LinkedIn Sales Navigator, we wouldn’t have that opportunity,” he says. It’s now a late-stage deal in their pipeline. Using LinkedIn, Sales Navigator, and PointDrive, Terminus generated $600K in leads and opportunities in just one quarter. Learn more about their approach to B2B sales by reading the full case study. And to see how LinkedIn Sales Navigator stacks up with other customers, check out how users are evaluating the product on G2 Crowd.